CBS Films has released the first trailer for Pavarotti, a new documentary from director Ron Howard that explores the life of the iconic opera singer. The trailer, courtesy of CBS Films YouTube, premiered during the 61st Grammy Awards on CBS Sunday night. The trailer doesn’t feature a ton of footage, at just 20 seconds long, but does reveal the film will hit theaters June 7, going against X-Men: Dark Phoenix and The Secret Life of Pets 2. 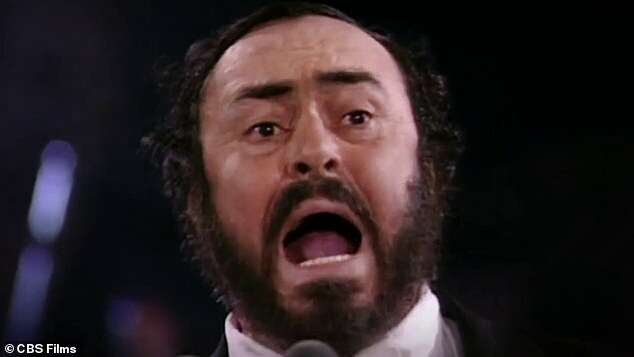 The film was created from, ‘a combination of Luciano Pavarotti’s genre-redefining performances and granted access to never-before-seen footage,’ according to the synopsis. The trailer opens with one of Pavarotti’s most iconic performances of Nessun Dorma from 1994, along with a brief interview segment with U2 front man Bono. ‘The reason why he is so great is because he lived those songs,’ Bono said in the trailer. The trailer also includes candid footage featuring the opera singer giving an interview while surrounded by Japanese fans. There are also shots of the singer on stage, arms out-stretched to the crowd, along with shots of Pavarotti with a huge smile on his face while riding a bike. The iconic singer is also seen cheering for something surrounded by a group of people.